Is there a switch to turn High Definition off ? Not that I know of. I downloaded in HD and it was buggy (don’t know why, I have great pc), so I had to delete and redownload in SD and crank the graphics up. yes there is. 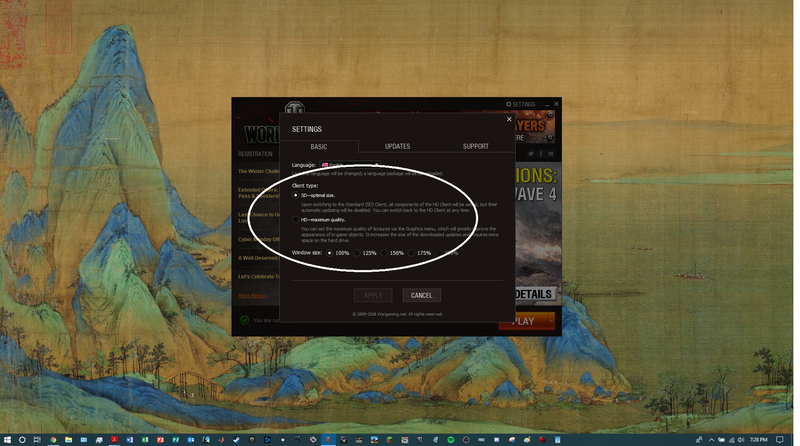 go and open the WOT launcher then click on the settings menu. you can then just toggle between HD and SD clients. then, my illiterate challenged friend, I recommend you play on a computer and not a couple of potatoes wired together in parallel. → [ 1080p ] High Definition is a Hot Wheels clan.